Notes: Hang small items off the floor, above your workbench, or anywhere you want them. Keep items close at hand and easy to find. Use two side by side to hold small shelf, levels, hacksaws, etc. Recommended Option: M-HLOK Slatwall Hook Lock. 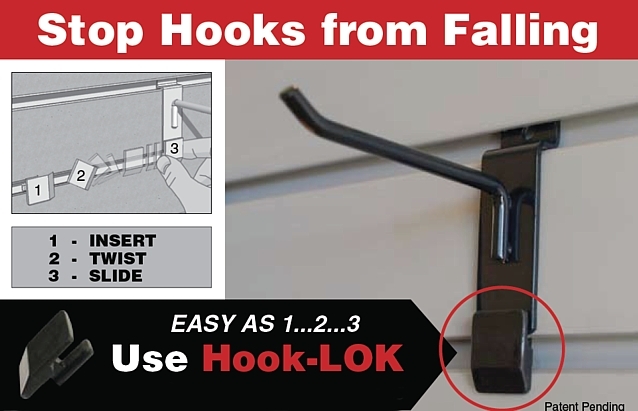 - Keeps this hook locked into the wall and prevents it from sliding in the slot or falling out of the groove and onto the floor.